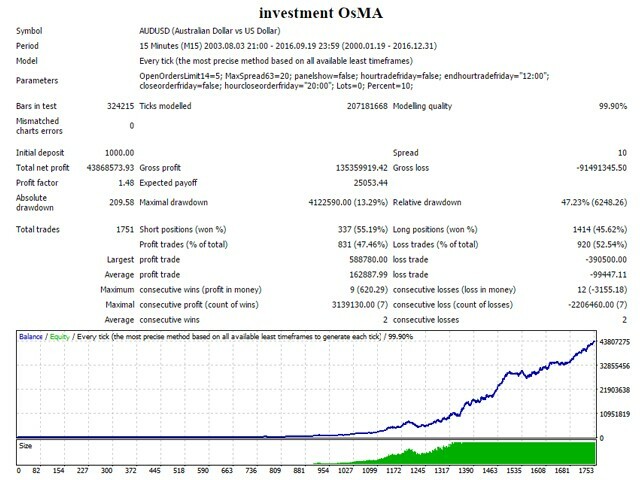 This Expert Advisor consists of a strategy running on 4 timeframes M15, M30, H1, H4. The EA opens separate buy and sell orders on these timeframes. Separate settings are available for each timeframe, as well as for buy and sell orders. The EA uses standard MT4 indicators Bollinger Band, CCI, OsMA. During backtesting the EA passed through all market conditions over the past 13 years. It can be configured to trade any currency pairs. A set file for the following 6 pairs is available in comments: EURUSD, GBPUSD, USDJPY, USDCAD, AUDUSD, GBPCAD. To enable News Stop Trading, tick “Allow WebRequest” option and add "http://www.dailyfx.com" to the list of URLs for WebRequest. To do this, open Tools > Options > Expert Advisors. Check the option "Allow WebRequests for listed URL:". Add http://www.dailyfx.com and click OK. The EA takes news from the specified websites. 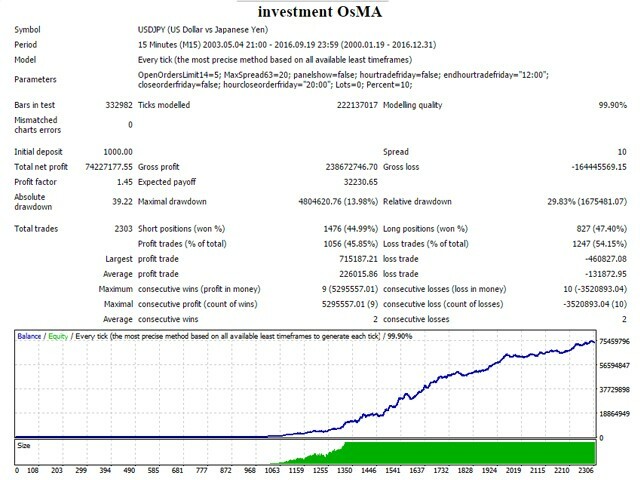 You can start trading 0.01 lot with the initial deposit of $100. sigm15buy - Signal SMA Period of OsMA on М15 for buy orders. I confuse too many settings. 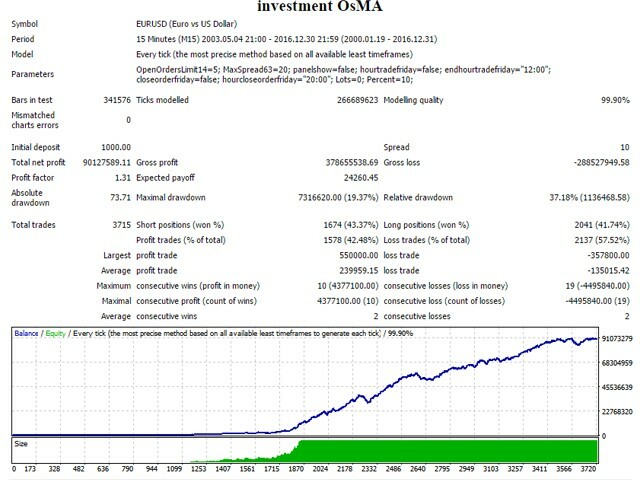 Great seller, system backtests well and is profitable over the long term. The News Stop Trading system, which suspends trading during the news releases. Trading in compliance with FIFO. Percent can be set as a fractional value, for example: 0,5. It is possible to enable virtual SL and TP. It is possible to enable the trailing stop.